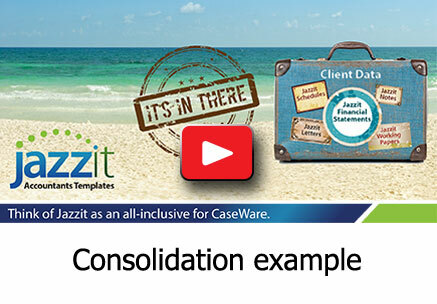 The Jazzit financial statements now have the ability to present 9 columns for both financial statements (Balance sheet, Income statement, and Cash flow) and income statement schedules. A common application of the 9 column statements is to present separate funds or divisions within an organization. This article will outline how to present a multi-fund financial statement using either the 9 column financial statements or the 9 column schedules. Before the 9 column statements can be properly utilized, the trial balance accounts must be assigned to entities via CaseWare’s consolidation feature. This is similar to how trial balance accounts must be assigned to mapping numbers for the Jazzit financial statements to populate. Click: Engagement > Consolidate in the CaseWare menu bar to access CaseWare’s consolidation window. In the consolidation window, click on ‘New’ to create a new entity. In the new entity window, enter a name into the name field. 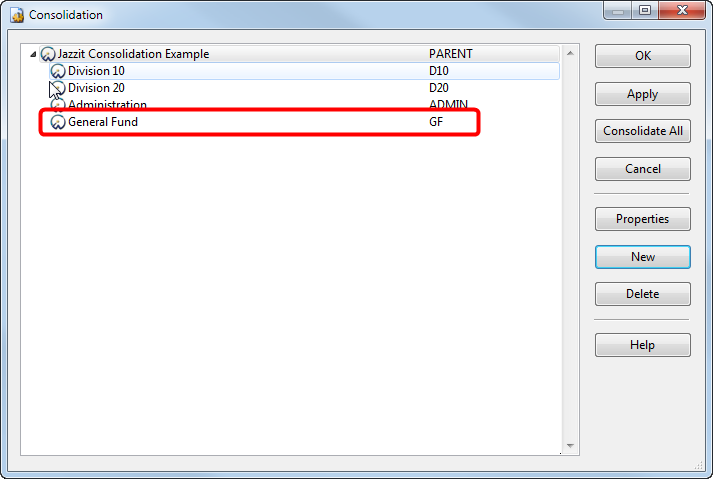 CaseWare will automatically generate an abbreviation based on what is entered in the name field. Click ‘Ok’ and the new entity will show up on the entity listing. 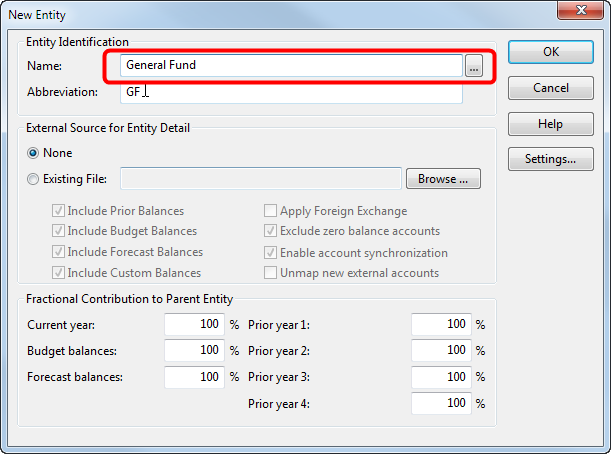 Create an entity for every fund and/ ordivision you wish to disclose on your 9 column statements. After you have created your entities click ‘OK’ on the consolidation window. 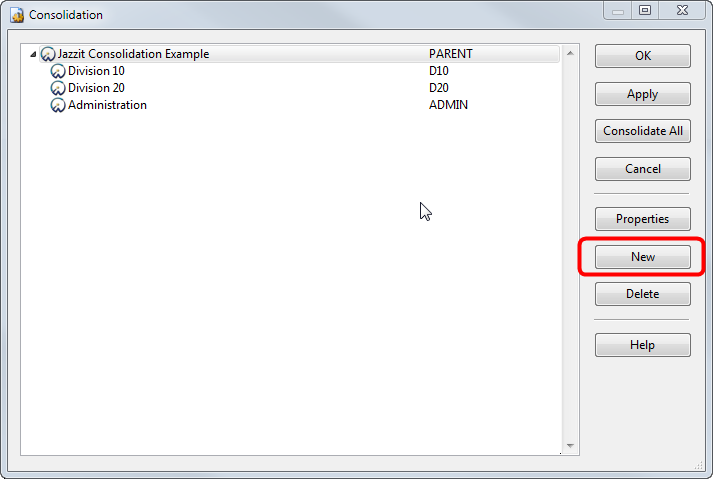 You will need to close all your CaseView windows for CaseWare to create the entities. 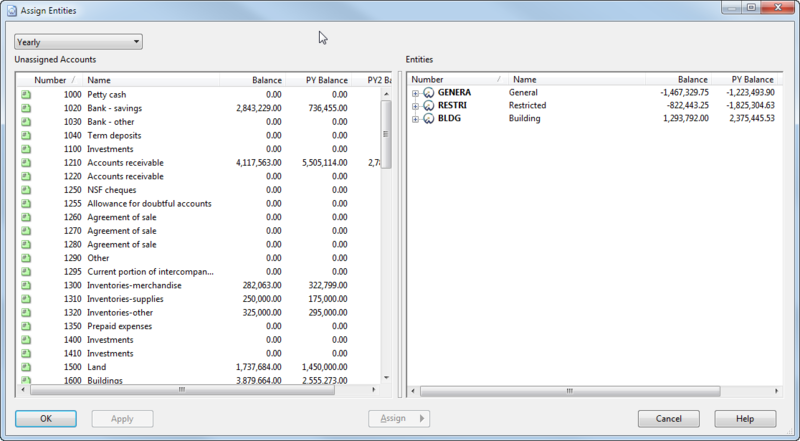 Once the entities have been created, you will need to assign the trial balance accounts to them. In the CaseWare menu bar, click: Account > Assign Entities. The Assign Entities window is similar to the assign map numbers window. Assign accounts to entities by dragging from right to left. Once all accounts have been assigned to the appropriate entities, we can move on to setting up the 9 column statements.